Start every day of your visit to the RIT Inn & Conference Center well rested whether you are here on business or visiting family and friends. With 304 non-smoking spacious sleeping rooms and an array of amenities we provide everything you need for a comfortable night s stay. Complimentary airport shuttle service is available. Recreational facilities include hot tub sauna and exercise room. Petals Restaurant offers superb dining with a tasteful selection of carefully prepared specialties for breakfast lunch and dinner seven days a week. Charades Restaurant is our fine dining facility and is open daily for dinner. 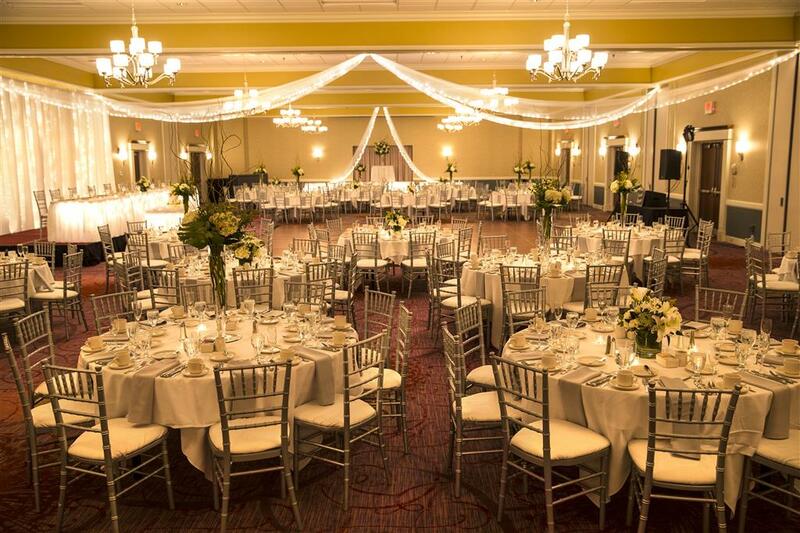 Our beautiful ballrooms and executive conference rooms can accommodate groups ranging from 1-600 people. Let our professional sales staff assist with planning your next corporate meeting convention or social function. Petals Restaurant: Open for breakfast lunch and dinner. RIT TAKE A RIGHT OUT OF MAIN ENTRANCE ONTO JEFFERSON RD RIGHT ONTO ROUTE 15 HOTEL IS 3 MILES ON RIGHT.